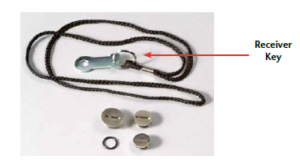 and instructions shown below for the disassembly and reassembly of your receiver collar. everything comes apart, follow the steps below to assemble. 1. Place collar on receiver over posts. 2. Place a nylon or rubber washer over each post. 3. If you have a shunt or resister, put that on. 4. 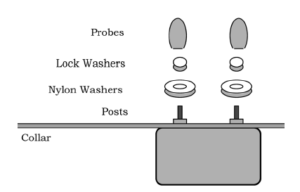 Place lock washers over posts. 5. If possible, use one small drop of “Locktite” (blue, non-permanent) on each post. sure they are not loosening. 6. Screw on probes. Turn clockwise. Do not over-tighten! are not covered under the warranty. 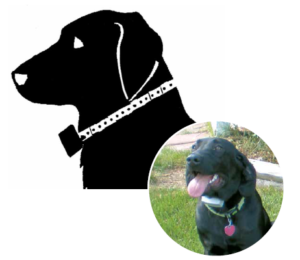 Check your pets’ receiver collar often for a proper fit. 1. Fit the nylon collar to your pet’s neck. neck. Use long probes for longhaired dogs and small probes for shorthaired dogs. hangs down at a slight angle. you when they need to be changed. unscrew and remove the old battery (it will drop right out). cracked, dried out or broken.